52 K Artworks have been viewed 52,510 times. 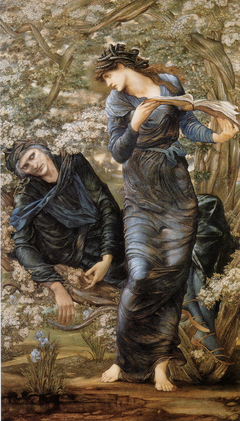 Burne-Jones was born in Birmingham and a major British artist of the 19th century. 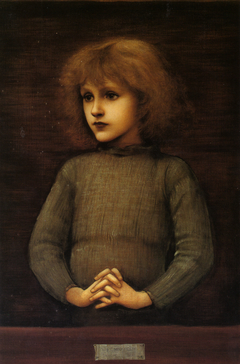 His art influenced major European painters of the late 19th and early 20th centuries. 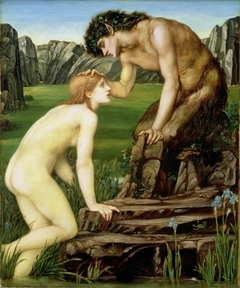 Birmingham Museums and Art houses the largest public collection of his work. 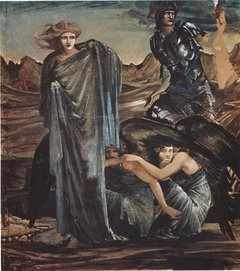 The collection demonstrates the range of his artistic style: Medievalist, Pre-Raphaelite, Symbolist, Aesthetic artist and Arts and Crafts designer. 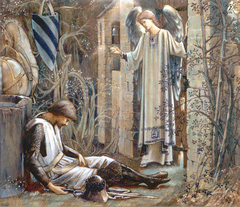 Although untrained as an artist, he took inspiration from the art of the Pre-Raphaelite Brotherhood. 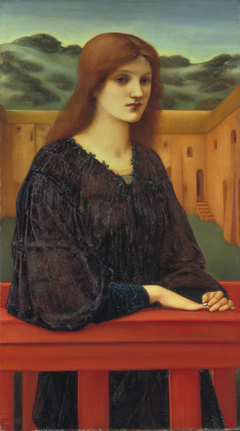 In 1856 he received lessons in painting from Dante Gabriel Rossetti (1828-82). First commission to design stained glass, for James Powell & Sons, of 'The Good Shepherd'. 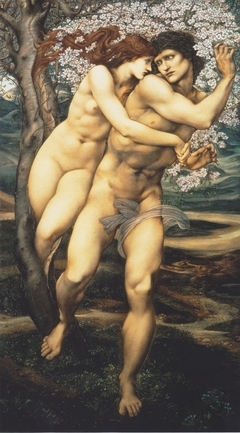 Creates many pen and ink designs, imitative of Rossetti. Began his first mural painting for the Old Debating Chamber in the Oxford Union Society in 1857. 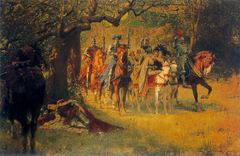 In the same year creates first work in oil, 'The Blessed Damozel'. Visited Italy four times between 1859-1873. During the early visits he made copies of the Old Masters, while later was influenced by the Renaissance artists Botticelli and Michelangelo. 1860, married Georgiana Macdonald on 9 June in Manchester. Utilised her as the model for his female subjects for many years. An introduction to the Anglo- Greek community in London sees Maria Zambaco (1843-1914) become his new muse and model in the later 1860s. 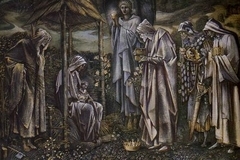 In 1887 he started work on the largest watercolour of the 19th century, 'The Star of Bethlehem', completed in 1890. The watercolour was commissioned by the Corporation of Birmingham for the City's new Museum and Art Gallery. 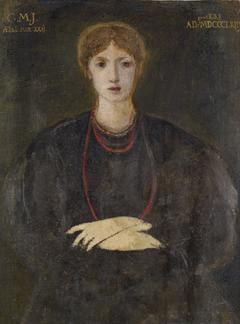 Shortly before his death, Burne-Jones completed an unfinished watercolour painting, begun in 1865, 'The Prioress' Tale', which fuses many of the aspects of his long and varied career.